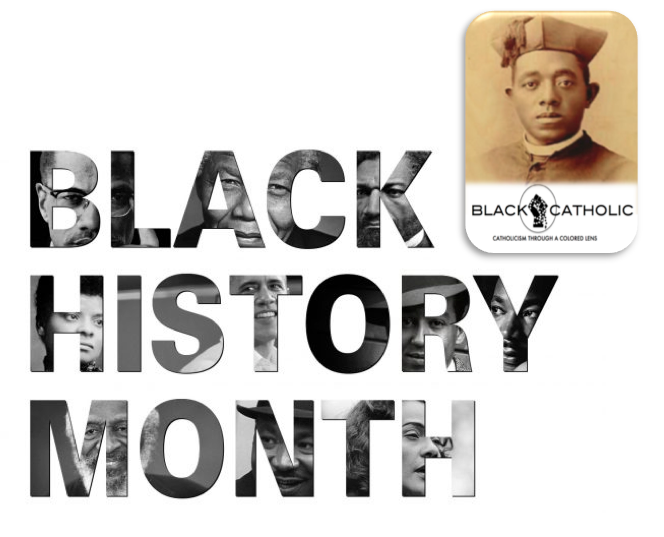 Black History Month 2019 – How BLACKCATHOLIC Will Celebrate! (1) Sundays – Black Saints catalogue page additions/Black (And Catholic) Like Me articles. One of the Church’s Black/African saints/someday saints will be featured and discussed and added to my Black Saints catalogue page. Portions of this content will be provided and linked on my social media as well. Four Sundays makes for four saints! (2) Tuesdays – A featured article by others I’ve found dealing with Black history in the US and connection to the Church that I think you should read as well. (3) Thursdays – A featured video on Black history you should check out as well; A mix of Black Catholic and general Black history. (4) Bonus Black history/Black Catholic content throughout the month as I find and share it, and, depending on time I get balancing seminary stuff and this, I might produce some bonus stuff as well. Happy Black History Month everyone! I hope my apostolate will edify and bless you in some way during this month’s celebration.